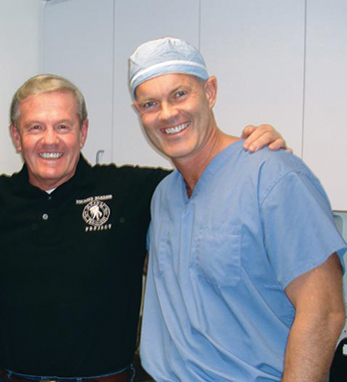 Dr. John Kennedy, born in Dublin and educated at Ireland’s Royal College of Surgeons, is a surgeon at New York Hospital for Special Surgery. John met Flip Mullen, a retired FDNY officer, six years ago at the Irish America Top 100 awards dinner. Both were being honored for their work helping others: John for performing orthopedic surgeries free of charge in Santo Domingo, and Mullen for his work with the Wounded Warrior Project. The two met and began to talk, and out of their conversation a new partnership was born. Mullen and other Wounded Warriors counsel injured soldiers to consult John, for a second opinion. He and his associate Dr. Austin Fragomen in turn meet with the wounded soldiers, look at their injuries, and have in certain cases performed surgeries saving soldiers from amputation. Mullen and his wife, Rita, house the soldiers and their families while they are in New York. John is currently the clinical director of the running clinic at the Hospital for Special Surgery. His interest in sports medicine of the lower limbs is generated by a long personal history in sports, where he competed at national and international levels in track, rugby, fencing, and water skiing.